just on the average -neither bad nor good, to some they didn’t meet up to their expectation(s). year 2015 but along the line they could not continue as the year went by. But now, a new year has begun, would you still want to remain at the average level? or do you have plans to improve on what you started 2015? this year. It’s not all about been in a hurry to start something but the ability to continue to the end that counts. smooth sailing. He provided everything Adam will need before he arrived on the scene. through the year 2016, you have to prepare the way for it to happen. Make room for your expectations to be manifested, create a foundation upon which your progress can stand. Hold firmly to the word that God has spoken concerning you in this year. special to me are the words God has spoken to me. That’s why most times God gives a word to usher us into what He has prepared for us in that year. provided a way out already even before the problem occured. it is either they loose interest or they have become too busy pursuing other things. They beome tired of continuing. those persons dragging themselves to even fulfill bit of what they intend doing. that you seek God’s opinion before taking any action. For those who had a rough year 2015, don’t lose faith yet. Hold on to the Word. He aleardy had in mind to do. What did he do? He spoke the Word! 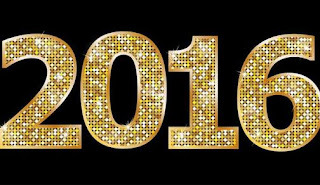 you should do in your genesis of 2016 – speak the word! Put your faith to work.